A short overlook of the history of Singapore’s planning culture towards a “liveable and sustainable” city state. Kees Christiaanse studied architecture and urban planning at the TU Delft. From 1980 until 1989 he worked for the Office of Metropolitan Architecture (OMA) in Rotterdam, becoming a partner in 1983. In 1989 Kees Christiaanse founded his own office ir. Kees Christiaanse Architects & Planners in Rotterdam, KCAP since 2002, which expanded to Shanghai and Zurich. From 1996 until 2003 he taught architecture and urban planning at TU Berlin (DE). Since 2003 he is professor at the ETH in Zurich (CH). In 2009 Kees Christiaanse was curator of the International Architecture Biennale Rotterdam (IABR) entitled “Open City. Designing Coexistence”. 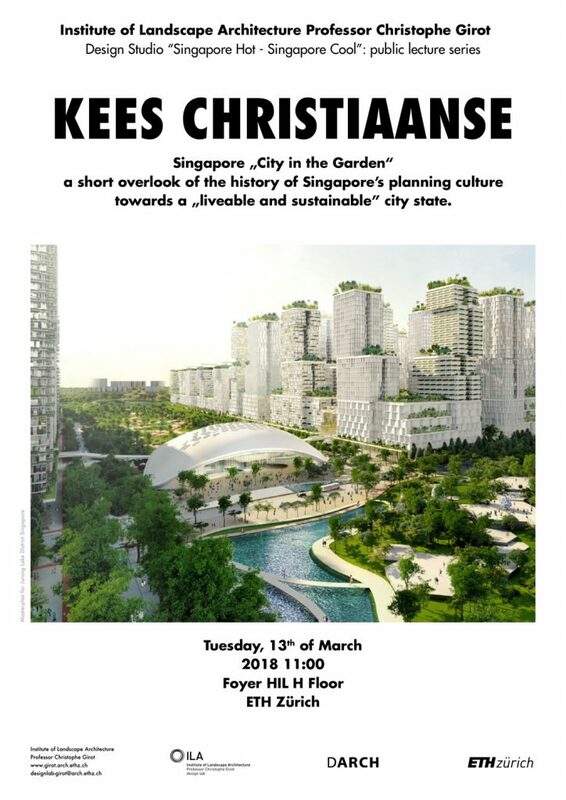 Since 2011 Kees Christiaanse is Programme Leader of the Future Cities Laboratory in Singapore and Principal Investigator as well as Module Leader for Module IV ‘Urban Design Strategies and Resources’. Next to his work as an architect, Kees focuses on urban assignments in complex situations and guiding urban processes. He is a consultant to several airports and expert in the development of university campuses and in the revitalisation of former industrial, railway and harbour areas.